There are over 15 million Americans diagnosed with type-2 diabetes and possibly millions more who are not yet diagnosed. And for those who have been diagnosed, for some their pancreas can still produce the hormone known as insulin but due to aging or even obesity, the less insulin is produced. So, type-2 diabetics will need to rely on injections of manufactured insulin to control their blood sugar (or blood glucose level) or taking diabetic related pills. But in order to achieve control over one’s blood sugar, it is important to know the various types of insulin available. Insulin is categorized by how fast it works, when it reaches its peak and takes action and for how long the hormone will stay in the body. Rapid-acting insulin goes by the name of Lispro or Humalog. It is the fastest working insulin available and once it is injected into the body, it works within 15 minutes. It hits its peak at around an hour after injection and lasts about 4-5 hours in the body. There is also Novolog or Aspart and Apidra and Glulisine with different onset times. Rapid-acting Insulin is a “clear” type of insulin that is designed to be taken before meals and works by the time the person begins eating. This is essential to the body because the meal is digested and glucose is moved into the bloodstream. Short-acting insulin is often called “regular” insulin and also taken at around mealtime. It takes longer to work and is typically taken around 30-minutes to an hour before a meal. It peaks around 3-5 hours but lasts about 6 hours in the body. It is also a “clear” type of insulin that goes by the names of Regular humulin or novolin. Also, there is Velosulin. Intermediate-acting insulin goes by the name of NPH or Lente is insulin that is mixed with a substance to allow for slow absorption in the body. Unlike the rapid-acting or short-acting insulin which are clear, intermediate is cloudy when mixed. It also takes longer to work but stays in the body for a longer amount of time. NPH works about anywhere between 2-4 hours after injection. Peaks about 10 hours after injection and stays in the body between 10-16 hours. Lente peaks anywhere between 4-12 hours but stays in the body for 18 hours. So, if taken in the morning, it will work all day. And for children, a shot of this type of insulin in the evening will keep insulin production for a child during the night. 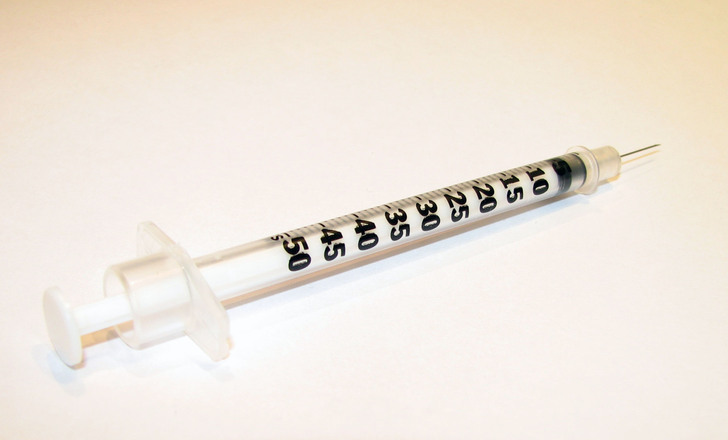 This type of insulin is known as Utralente and works anywhere between 30-minutes to 3 hours after injection and can stay in the body up to 20 hours or more. These are taken before bed or in the morning. Also, available is Lantus, Levemir or Detemir. There is another very long-acting insulin known as Glargine and it lowers blood sugar level after one hour of injection but has been known to work effectively for 24 hours. Refer to blood sugar levels chart for more information on blood sugar. Which Type of Insulin Should I Use? Of course, the type of insulin you need is what your physician will recommend. There will probably be tests to see how fast insulin is absorbed into the body but also judging by your lifestyle from how much you eat or drink, especially if you drink alcohol and also if you are on a diet plan. Also, age is a consideration. Other factors depend if you are willing to take multiple injections per day and your ability to check on your blood sugar. Next articleA Sample Diabetes Diet and How Can it Help?